The disappearance of publisher Lee Bo is a potential turning point for Hong Kong. The disappearance of a publisher in Hong Kong, Lee Bo, who owns a well-known bookshop that sells books critical of Chinese leaders, is a landmark event and potentially a historical turning point for Hong Kong. It is not clear if this happened at the behest of the senior Chinese leadership. But if those responsible for the disappearing of Lee are not punished, it will be clear that their acts are condoned by the authorities. This is deeply worrying as it gravely undermines the “one country, two systems” framework, which provides Hong Kong with high degree of autonomy from Beijing. 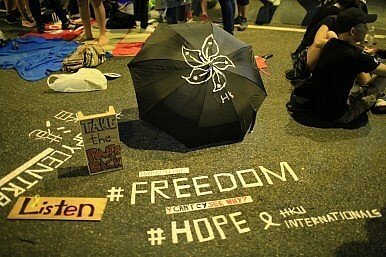 Under the Sino-British Agreement of 1984 and Hong Kong’s Basic Law, which govern relations between Hong Kong and China, the rights of Hong Kong citizens are meant to be protected within the territory. Mainland Chinese authorities do not have the legal power to arrest or detain an individual in, or remove anyone from, Hong Kong. The Chinese know the limit of their legal authority in Hong Kong. Hence, Lee was quietly disappeared, rather than openly arrested. But that it happened at all may mark the beginning of the end of Beijing’s commitment to uphold the ‘one country, two systems’ framework – a relationship that requires Beijing to tolerate, if not respect, the judicial integrity and the way of life in Hong Kong. Do we know for sure that Lee was “disappeared” by China’s security apparatus? Before he disappeared, Lee said in an interview that he knew he had been watched and that his emails were accessed by Chinese agents, and that he would not travel to the Mainland as a result. And we know that Lee’s travel documents are all in his home; yet he is now supposedly in China “assisting the authorities in an investigation” into something unspecified. This explanation comes from a fax sent to Lee’s wife, probably intended by the Chinese authorities to put an end to speculation. But why would Chinese authorities work with Lee, a British citizen who carries no travel documents and would thus have broken the law by entering China? The circumstantial evidence is strong enough to show that whether he was taken by Chinese officers or someone else, his removal from Hong Kong to China must have received official endorsement. Should the rest of the world be concerned about this? Hong Kong is a major financial center that services the world economy, and it can do so largely because it enjoys judicial independence and the high degree of autonomy under the “one country, two systems” framework. It is also a shining example of how the rights and scope of development for individuals can be respected in a Chinese community. Should the “one country, two systems” framework be undermined, Hong Kong as we know it will be no more. Beijing’s quick response in requiring Lee to fax his family may come across as ham-fisted and callous, but it also demonstrates that it had not expected the strong backlash to Lee’s disappearance. A strong and well-articulated international response that brings the matter to Xi’s attention may persuade him that it is in China’s best interest to put a stop to this process of undermining the “one country, two systems” framework. Given Hong Kong’s importance to the global economy, this should be a priority for the international community. Steve Tsang is an Associate Fellow at Chatham House and Professor of Contemporary Chinese Studies at the University of Nottingham.